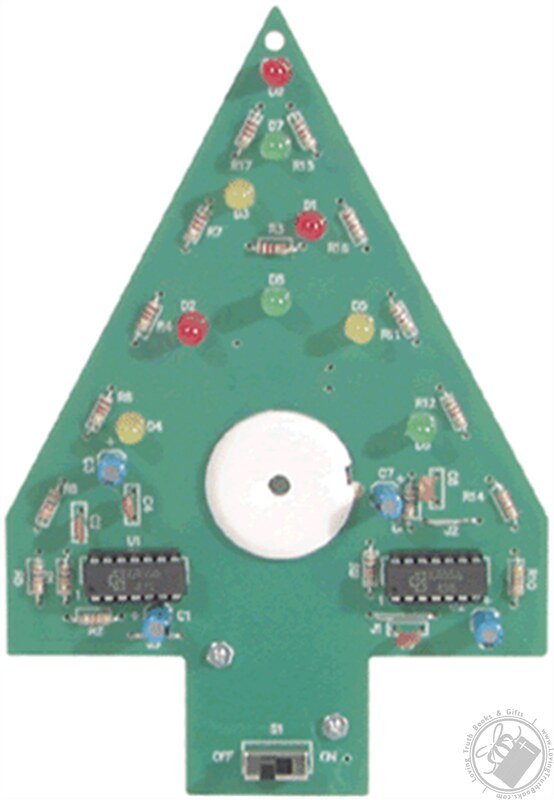 The Electronic Christmas Tree Kit is a fun project which also gives you the opportunity to learn about the wonderful field of electronics. The heart of the Electronic Christmas Tree is a 556 integrated circuit. This chip contains two 555 timers which are very popular in the electronic circuit blocks. 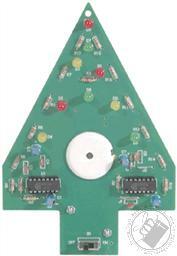 The sound of the Electronic Christmas Tree is a special integrated circuit with a piezoelectric buzzer. You’ll enjoy three charming Christmas melodies: Jingle Bells, Santa Claus is Coming to Town, and We Wish You a Merry Christmas.